Are you looking for a way to increase the productivity of your manufacturing business? If so, you might consider precision CNC machining. Just as the name implies, precision machining means that your equipment runs more efficiently. 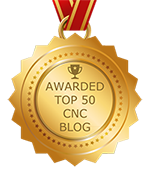 By using precision CNC products, you will see a marked improvement in productivity in several ways. With demand for custom CNC parts growing, manufacturers have adopted new and innovative technology and systems to keep up. Just in the past several years, new manufacturing trends and opportunities for custom CNC machining services have emerged. For industries that rely on these services, these changes are exciting. Customers still enjoy the same high level of accuracy, as well as more versatility.